Recently I told you about PillPack (read the previous post) and why I think they are really doing a great job about designing a system that improves the experience of both pharmacists and patients. I realized that there are a lot of lessons we can learn from PillPack so I wanted to actually show you it and go a little deeper. 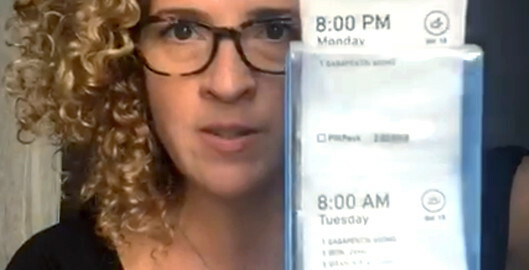 So, I did my very first Periscope a few days ago to show you more about PillPack. Here it is!! Just a heads up that there were a few wierdos that joined and made some not so nice comments, but I figured out how to block them. So next time hopefully I’ll be faster to block them! If you aren’t familiar with Periscope, it’s an app that lets you start a live video broadcast right from your iPhone. Then, other people can join to watch your broadcast and they can also comment – so it becomes interactive because you can get feedback from your viewers and answer their questions right on your live broadcast. I think Periscope is going to be a huge tool that people will use to share their knowledge and teach others. I could have made a video and posted it on YouTube, but that’s only a one-way conversation. I think there is immense power in the two-way conversation that Periscope enables by letting my viewers interact with me through comments. Another way that viewers can interact is by tapping the screen to give the broadcaster hearts, the social currency of Periscope. If you don’t want to miss my future Periscope broadcasts, then you should follow me on Periscope (if it opens in Safari then just tap the “open in app” button and there should be a follow button).